Camelot Apartments offers studio and one-bedroom apartments in a clean and quiet location near Stratford's Town Hall Green. Residents walk to shopping, restaurants and the Metro North station, and enjoy free off-street parking. 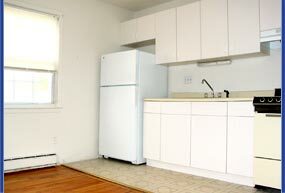 The building has an elevator and a telephone entry-system, and all apartments are cable-ready and air conditioned. Rent includes extra storage compartments in the basement, garbage service, city water, and an on-site, coin-operated laundry. The three-story building and grounds are attractive and well-maintained. 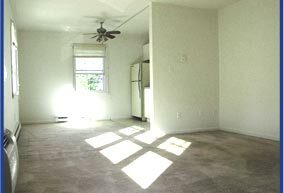 Some apartments feature hardwood floors, new kitchens, and walk-in closets. Camelot Properties is a family-owned business. A resident manager offers attention and quick response to tenant requests. Commuting by car takes 70 minutes to the Triborough and George Washington bridges in New York City, and 30 minutes to New Haven and Stamford. The trip on frequent Metro North trains takes less than 90 minutes to Grand Central Station and 20 minutes to New Haven.